The idea of cognitive computing is fairly new, yet it has gripped the world’s imagination. In every business conference, thought leaders are referring to analytic’s, process automation and the Internet of Things, or IoT. It is only natural for us to wonder how this transformation can be applied to specific business domains, especially one as nuanced as supply chain management. From 2 decades of experience in supply chain industry, we know that each process within the supply chain is influenced by a multitude of factors, some of them with the ability to influence outcomes significantly. Enter the cognitive supply chain. 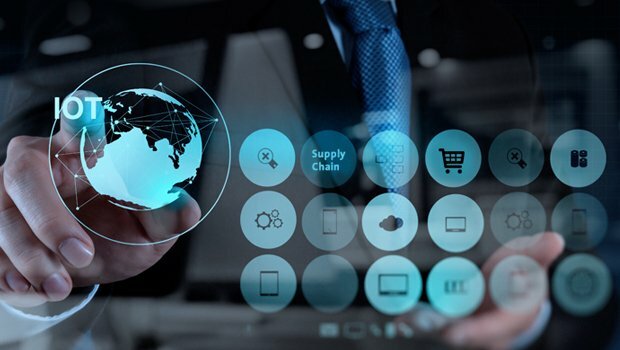 When experts talk about the supply chain 10 years from now, the focal point of the discussion usually revolves around re imagining, or wherever possible, reinventing, the supply chain. How to bring in more automation, better speed and efficiency, and build cognition and thinking into it? What could this mean for the company’s bottom line? The core of such a supply chain would be a central stock pool which then determines aspects such as pricing, sales and fulfillment. The omnichannel supply chain feeds the omnichannel retail supply chain. While the stock pool is digitally a single entity, multiple physically warehouses could be fulfilling orders from different channels. An omnichannel supply chain treats a customer as a single entity across channels, always striving to give them what they want across any channel of their preference. Now, if we were to take this one step further and teach a system to ‘learn’ when stock-outs happen, to predict peaks on inventory demand, to dynamically adjust reorder levels and to adjust sales forecasts based on past trends, we have a cognitive supply chain. Certainly a concise summary of it anyway. However, in getting from point A (using machines as super-calculators) to point B (machines becoming thinkers) is where the challenge lies. If we could indeed build such a system, and there is reason to believe we can, what advantages can it provide? Complete omniscience in the supply chain. Every bit of the process can become visible and transparent, from the supplier side to the buyer side. This means a concrete look at where delays are happening, what can be done to resolve them and methods to speed the process up even further. Routine processes and decisions will be managed by machines. Only when an anomaly is spotted, such as a spike in sales that depletes the inventory faster than expected, will the management be alerted. Decision-bias is a thing of the past. A cognitive system in general, and a cognitive supply chain specifically, will be able to take into account and assess more variables than human cognition. This is expected to make decisions significantly more accurate. Over a period of time, an evolved cognitive supply chain means increased accuracy in decisions – decisions that save money and recommend less manpower with little scope for errors of judgment. Depending on the size of the enterprise, this could mean monetary savings in billions. Since stock-outs are a non-entity, customer satisfaction levels go up significantly without there being dead stock. Investing in IoT is a long-term vision. Machine learning is yet to reach that stage where it is able to develop and implement cognition without fault. Applied specifically to supply chain management, this could mean a decade or more, but a digital enterprise always has benefited and will continue to benefit from the decision to go digital. With enough foresight, we become the front runners when cognitive systems do become the norm.